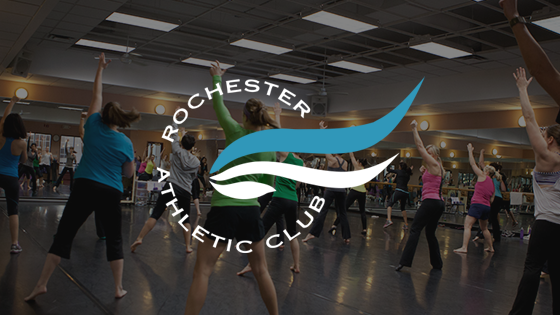 The Rochester Athletic Club is a premiere workout facility in Rochester, Minnesota. They offer a state-of-the-art facility (seriously, it’s awesome) and have a whole host of fitness and family-friendly entertainment activities. However, their website did not represent their level of provided services. It was outdated, the opposite of user friendly, and the functionality did not operate the way they needed it to. They came to us with a simple request: to build for them a functioning website that looked great. Using a Growth-Driven Design approach, we were able to turn their website into not only a beautiful website, but a marketing machine. The first challenge we encountered was the sheer amount of information they had on their website. Throughout the past few years, their main focus was on internal renovations and club improvements. This meant the website got put on the back burner. Before they knew it, their website had amassed to more than 100 pages of information. It wasn’t mobile responsive or optimized for search and wasn’t doing their visitors any favors. It didn’t reflect their brand or represent the caliber of their facility. Turning their current, non-functioning website into a marketing opportunity to showcase their facility and offerings, engage current members, attract new members, and be a valuable resource for everyone in between. 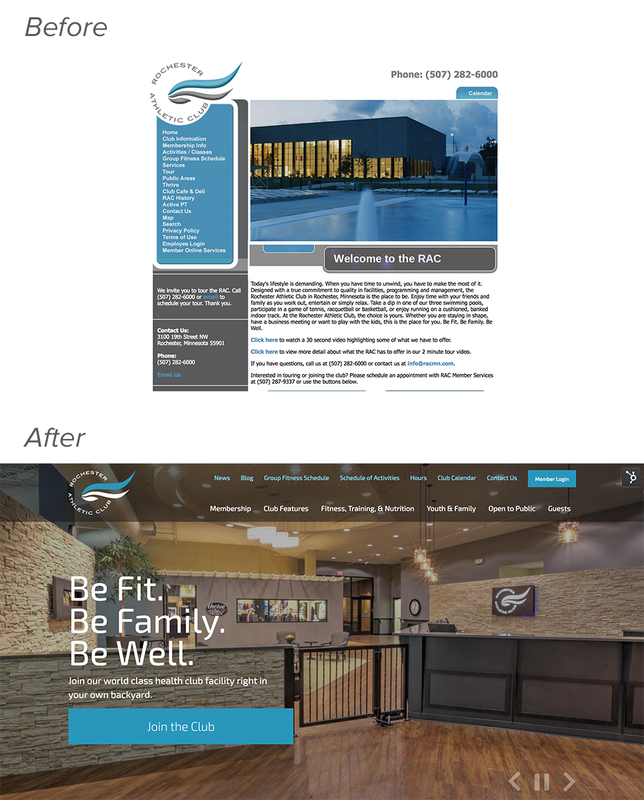 We knew right away the Rochester Athletic Club would be a perfect candidate for a website that followed a Growth-Driven Design approach. We collected as much data as we possibly could from their old site and, along with brainstorming sessions, evaluated key factors for navigation and content organization. We received feedback on the design side, using the client’s photography and design direction, and got to work on the functionality. Using their goal and personas, we first tackled their navigation and content. We established what content was the most important and how people naturally digested and navigated their website. From there, we selected a handful of calls-to-action and strategically placed them in several different places and versions sitewide to encourage engagement and direct them to various lead generation opportunities. 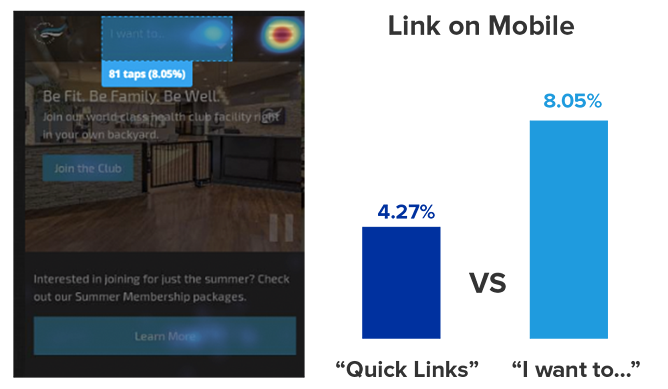 During ongoing analysis, their CTAs and landing pages for capturing leads have gone through multiple variations to find which ones attract the most clicks and where. For example, on mobile, the site was originally launched with a “Quick Links” section. We found during analysis that not many people were using that functionality. We decided we needed to either change the verbiage on that drop down menu or remove it from the top navigation. We went with changing the verbiage to “I want to…”, tested the decision, and we happily discovered it was exactly what the users wanted. During the next implementation of updates, we are set to deploy smart content site-wide to uniquely speak to members and non-members. Integrating HubSpot with their CSI Member Management software, we will be able to trigger marketing emails and alerts based on interactions with the Rochester Athletic Club. The Data Speaks For Itself- Bounce rate improved slightly by 3.34%- Average session duration improved by 21.29%- Total sessions increased by 39.33% largely due to returning visitors went from being 44.5% of all traffic to 49.2% which, for an athletic club, indicated their members were using their website and returning more frequently. 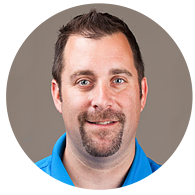 "When we were looking for a new company and platform to update our web presence for the Rochester Athletic Club, we knew we had seen something special when we met with CWS and they introduced us to HubSpot. We wanted to work with a company and product that would enhance our members experience online. Our old website was dated, cumbersome, difficult to navigate, was impossible to customize due to the template structure, not mobile friendly and lacked the tools to make educated decisions on where to focus our resources of time, energy and money in a way that would improve our online offering to members and prospective members. HubSpot and the team at CWS have removed all those obstacles and created a website that I am proud of, and represents our Club well. The exciting part is we have only started to leverage the potential that this platform offers. We are, and will be able to communicate better with existing members and prospective members. We are able to make the online experience more pleasant for our clients. We have seen the mobile experience grow significantly with this change. Over half of our traffic comes from mobile devices. Our new website is a tool for our business and our members. We are pleased with the changes that have come due to CWS and HubSpot and are excited about the future we get to work on together."